Our company is dedicated to stove repair in Passaic, New Jersey. Of course, we are devoted to servicing all household appliances. Everyone knows how important the stove is to a home. Cooking food is a daily activity. Our experienced experts are very familiar with all makes and models. There is not a brand our techs won’t service. We have the right skills and we are focused on quality. Our specialists are honest, friendly, and helpful. You simply can’t go wrong when you choose Passaic Appliance Repair. Our goal is to administer quality stove service for customers in our community. Our emphasis is on providing exceptional results. Additionally, we want to provide service quickly. Finally, we want to offer service you can afford. We work hard to keep our customers satisfied. Our friendly, but professional business approach says it all. We truly enjoy servicing home appliances. You can enlist our pros to work on your stoves, ovens, and ranges. Give our office a ring today. 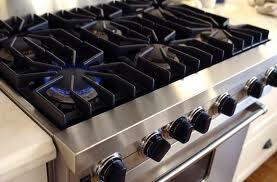 We offer detail-oriented stove installation service. Our experts can install any electric or gas unit. Most customers want us to install their gas appliances. We are very familiar with this process. Our techs are perfectly capable of doing this job safely and accurately. Let one of our pros install your stove or other home appliance today. Call our specialists for emergency stove repair service. If your unit breaks down, you can’t cook. This turns this issue into an emergency. Our experts will respond quickly the same day you call. How do we provide service so fast? It takes preparation, organization, and dedication. Having the right parts on hand is really a big deal. It definitely enhances our service. Get service you can trust. If your stove quits working, put us to work. Give us a call and we will come right out and provide the Passaic stove repair service you deserve.